Relive the 1798 Rebellion in County Wexford from Friday 15th – Sunday 17th June. 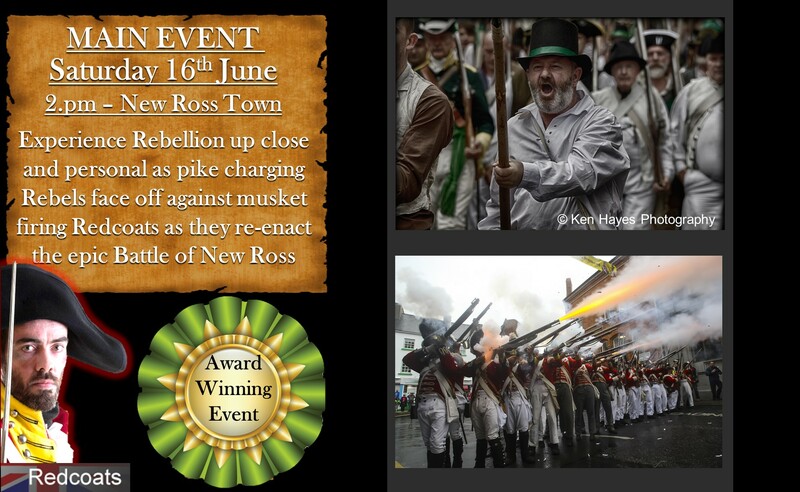 Battle re-enactments will take place in the towns of New Ross and Enniscorthy over the course of the weekend, to commemorate the 220th anniversary of the 1798 Rebellion. 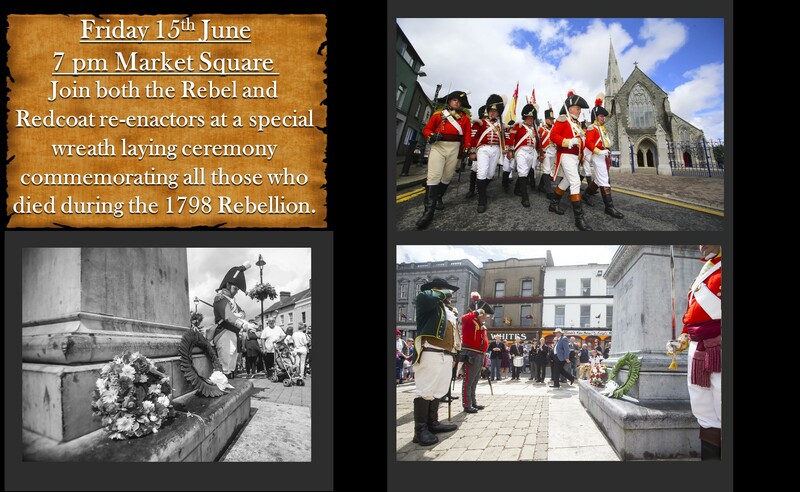 The programme of events commences on Friday 15th June at 7 pm, in Market Square, Enniscorthy, where you are invited to join Rebel and Redcoat re-enactors, for a wreath laying ceremony, commemorating all those who died during the 1798 Rebellion. 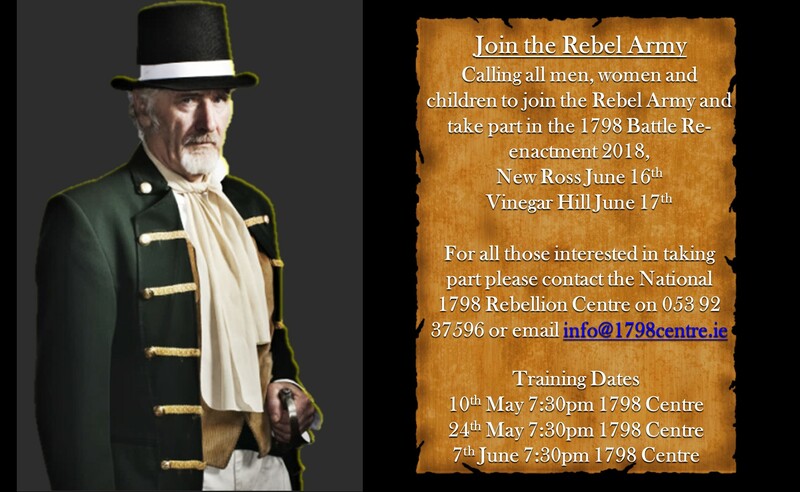 On Saturday 16th June, experience rebellion up close and personal. Pike charging Rebels will face off against musket firing Redcoats as they re-enact the epic Battle of New Ross. 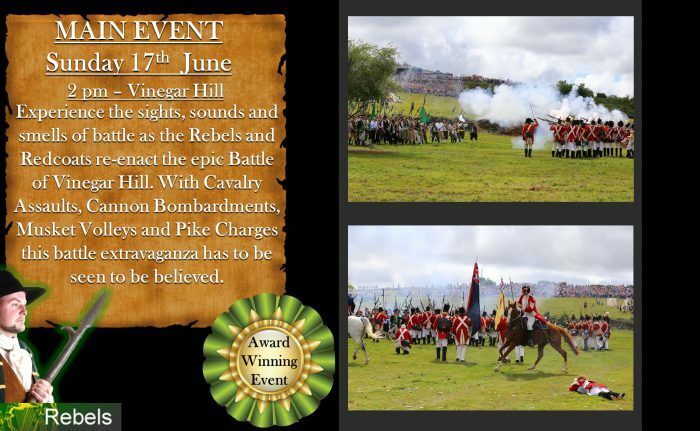 On Sunday 17th June, experience the sights, sounds and smells of battle as the Rebels and Redcoats re-enact the epic Battle of Vinegar Hill. This battle extravaganza has to be seen to be believed, wth Cavalry Assaults, Cannon Bombardments, Musket Volleys and Pike Charges. 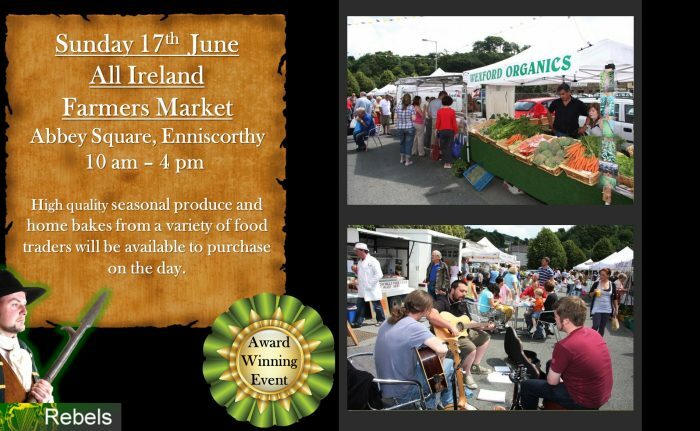 On Sunday 17th June, the All Ireland Farmers Market will take place at Abbey Square, Enniscorthy, from 9 am – 5 pm. Food producers from throughout the country will compete for the title of Ireland’s ‘Best Artisan Food Producer’. High quality seasonal produce and home bakes, from a variety of food traders will be available to purchase. 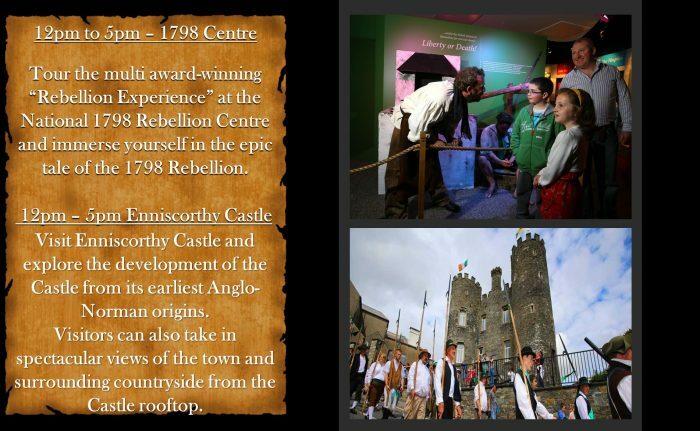 While in Enniscorthy, why not visit the National 1798 Rebellion Centre, to immerse yourself in the epic tale of the 1798 Rebellion. Also visit Enniscorthy Castle, where you can explore the development of the Castle from its earliest Anglo-Norman origins and take in spectacular views from the Castle rooftop.